Mr. Slim ductless heating and A/C units offer an attractive alternative to unsightly window-mounted heating and cooling units. Perfect for spot cooling or heating of any room, Mr. 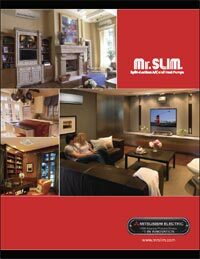 Slim ductless units are efficient, quiet, and environmentally friendly. Since there is no duct work to install, installation is simpler and less modification is needed to implement the units in your home or business. 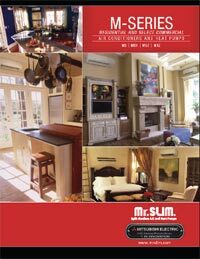 To get a quote, call us at (408) 738-8878 or toll free (800) 577-5862.